Ultrasonic thickness gauge for materials with 10 place memory and backlit display. Carry case and couplant gel included. 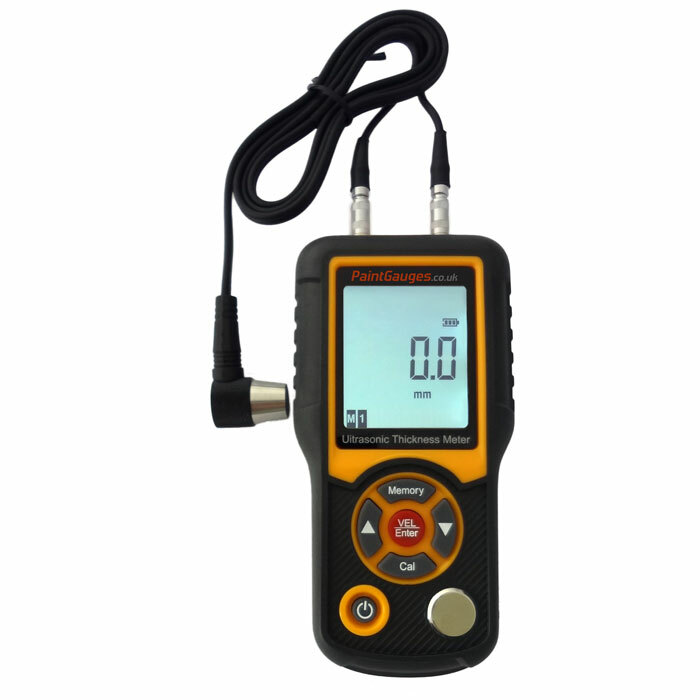 This ultrasonic thickness gauge has a rich feature set and a backlit LCD display that is easily readable even in dimly lit conditions. It is fast and simple to use and features a memory function to store measurements. The cabled probe allows measurement in niches and hard to reach areas. 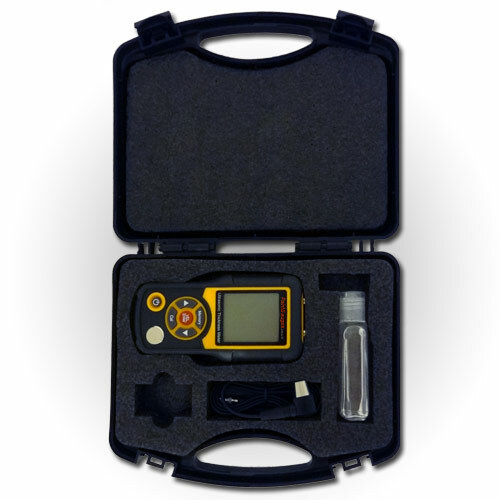 Taking measurements is fast, simply place the sensor (with supplied couplant gel) against the surface to be measured and the material thickness is automatically displayed on the large LCD screen. Note: This gauge does not measure coating thicknesses on materials. It measures total thickness of uniform consistency materials (e.g. metal plate, plastic, glass). To measure coating thicknesses, see our range of coating thickness gauges, such as the FN Evo. Unlike lower specification gauges, the Ultra has the ability to measure thicknesses of a wide range of materials due to the ability to adjust the speed of sound for different materials, ensuring optimal accuracy. The user can quickly change the setting to the desired value, with suggested values for common materials stated in the included user guide.